Mr. Parizeau asked me as translator and publisher to write a short Foreword to explain the origins of the book and the English adaptation. For the record, here is the Publisher’s and Translator’s Foreword. It was a great honour to be invited by Mr. Jacques Parizeau in November 2008 to help him with his book project. He did not wish to write a memoir, settle scores with political adversaries, or rehash his speeches made since the 1995 referendum. He was writing a new book addressing the political and economic issues of the day. What an opportunity! Mr. Parizeau has been intimately involved in everything that has happened in Quebec since the 1960s. He has never wavered in his overarching commitment to public service and to the public interest, and has always been respected, even by opponents. As the book progressed, it became obvious that his thoughts, experience, and grasp of issues that face all peoples, nations, and countries in 2010 should be shared with English-speaking readers in Canada and elsewhere. That is when the idea of translating this book was first broached and Mr. Parizeau agreed enthusiastically. In parallel, Baraka Books had just been founded with a mission to publish “ideas, points of view, and creative works that might otherwise be overlooked because of cultural or linguistic barriers.” It is my belief that, with this book, readers will not only see Mr. Parizeau in an entirely different light, but also better understand the cause that he has defended for forty years. 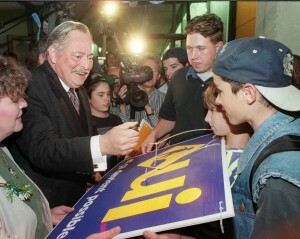 Monsieur Jacques Parizeau will be sorely missed because of his tremendous contribution to Quebec since the 1960s. At Baraka Books, we are very proud to have his last book in our collection.